Add a distinctive look to your patio, fence or pool with Vinyl Classic Solar Post Caps from Weatherables. 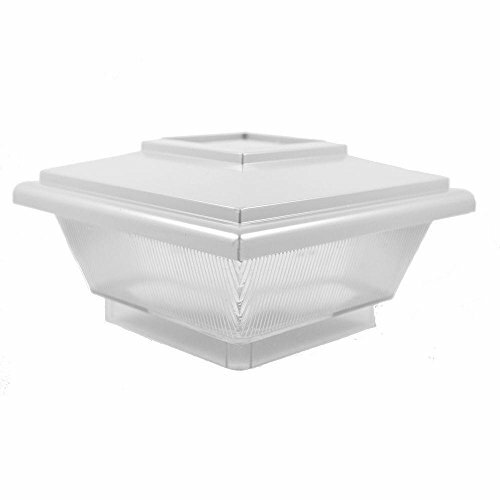 Environmentally friendly, the Classic Solar Post Cap uses the latest solar power technology. Each cap has 2 LED lights and a brand new solar cell, which absorbs the sun's energy during the day and stores it in the Ni-Cad Rechargeable Batteries to be converted into light at night. Works with all 5 in. x 5 in. Weatherables vinyl fence postsMaximum profile outside dimensions - 4.950 in. x 4.950 in. Corner radius: 0.140 in.